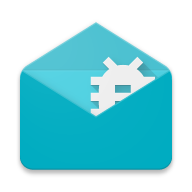 Is your Inbox full of bug reports and requests from your users? 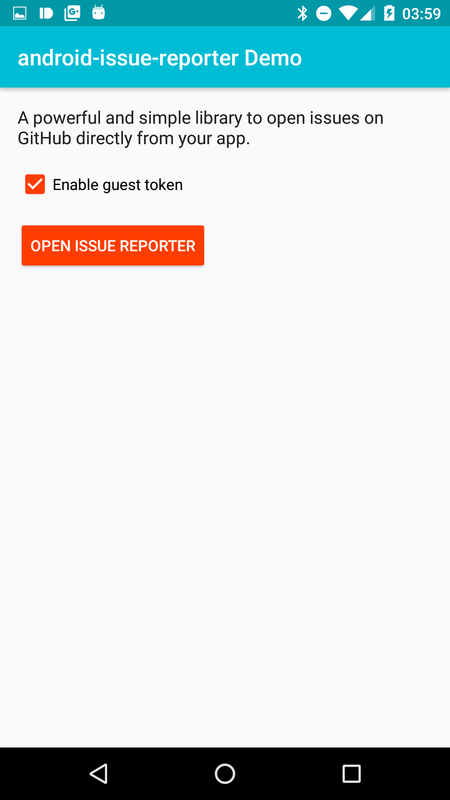 android-issue-reporter is a new material designed library to report issues from your app directly to GitHub, even without an account. Get the latest dependency at jitpack.io. // [Recommended] Theme to use for the reporter. // You can register a bot account on GitHub and copy ist OAuth2 token here. // Where should the issues go? 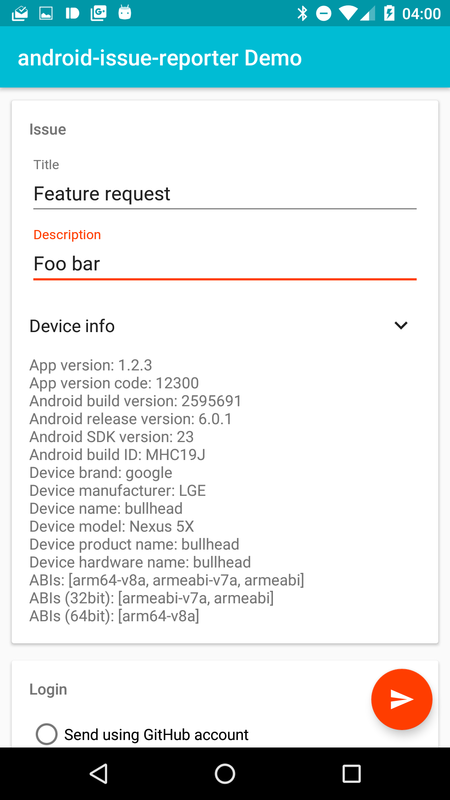 You can use Theme.IssueReporter.Light or Theme.IssueReporter.Light.DarkActionBar as replacement if you want a light theme. Create a new GitHub account. 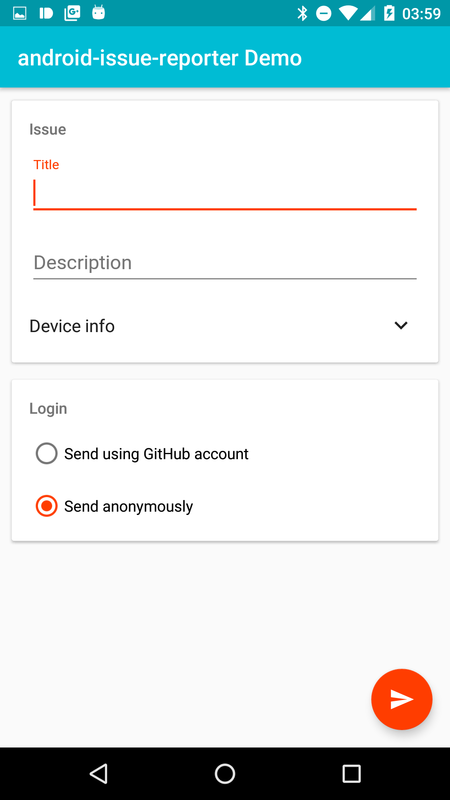 Go to https://github.com/settings/tokens and create a new token using Generate new token. Copy the OAuth access token you get at the end of the setup. You can’t use two factor authentication.